We debuted our brand new booth design, complete with a mock retail space for live demonstrations. 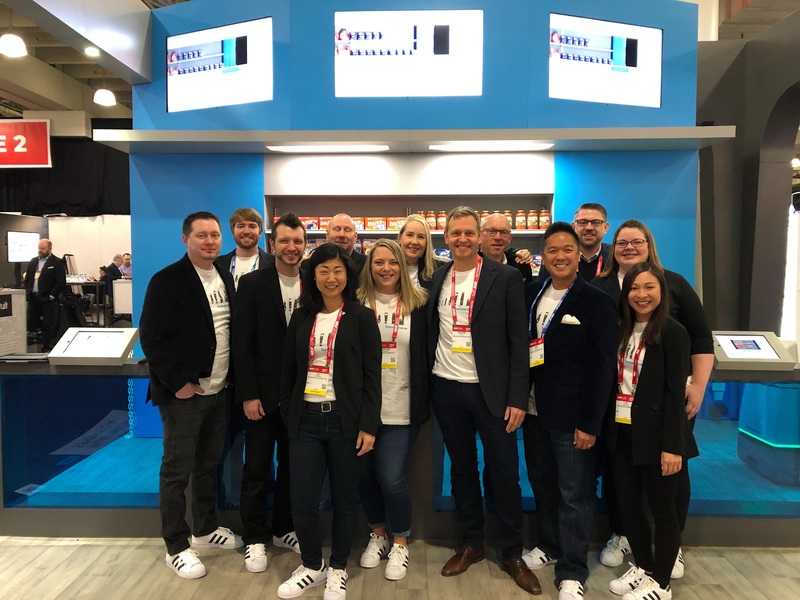 Our sales team delivered live demos at the top and bottom of every hour, walking booth visitors through our solution. 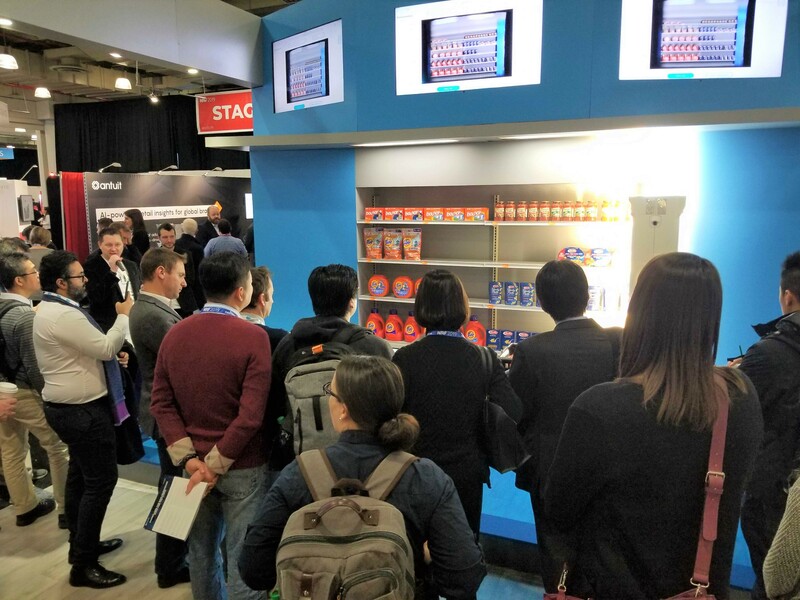 Tablets positioned at the front of the demo area provided a live view of our dashboard, allowing attendees to watch as on-shelf product data appeared in real-time. Attendees learned how to apply this actionable information to optimize their retail operations and revolutionize the way their customers shop. Visitors loved our new mini robot stress balls, pens, and stickers. 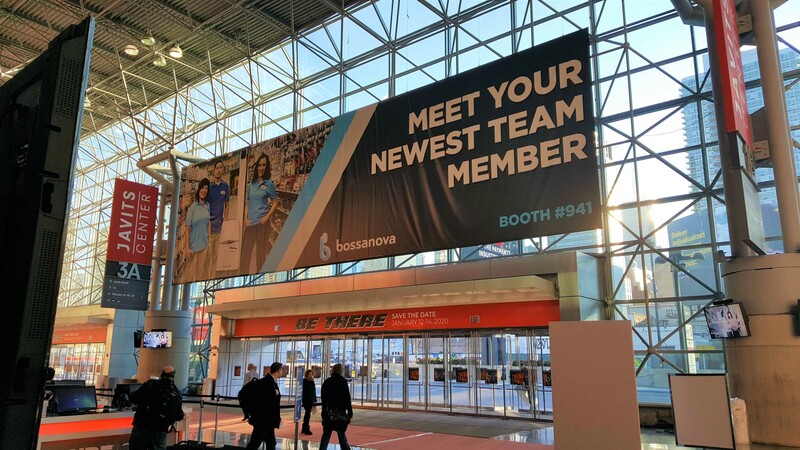 No matter where you looked, our banners were flying high at the Javits Center. None of this would have been possible without our amazing team. They represented the best of the Bossa Nova brand and even managed to squeeze in some time for team bonding. Our fully autonomous retail service robot detects out-of-stocks, missing or misplaced labels, incorrect pricing, and misplaced products. Our solution can help you reduce inventory audit time and notify your store associates of issues as they occur. You can be confident in creating a full omnichannel shopping experience. We'll be at Shoptalk from March 3-6, 2019 in Las Vegas at Booth #3229. Meet us there!